04 of 20. This is the back of a 2 color screen print - 360 degrees all around print Christmas Ornament. 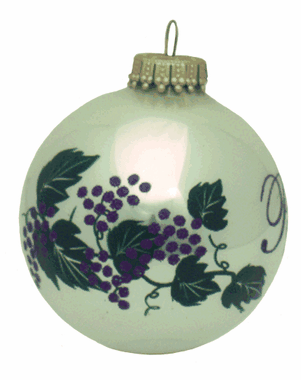 You can see how a two color print all around the ornament creates an awesome decoration that compliments your main design on the ornament. The next picture will show the front of the ornament. To advance to the next picture, click in the large picture now.